Where Did The Accuracy Percentage Go on the Chrome Extension? We removed the accuracy % on Chrome Extension profiles and replaced with what kind of profile you’re viewing; Predicated or Verified. Predicated profiles are created based on the written text associated with the email or LinkedIn profile you’re viewing. 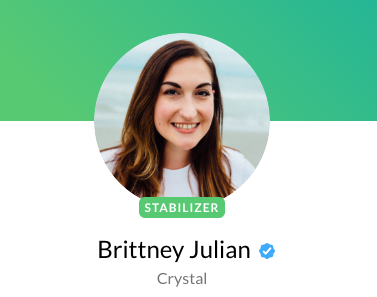 Verified Profiles are profiles of Crystal users who have taken our personality assessment test. You’ll see a blue verified check mark near their name.